From Gypsum Hills to Post Rock country, Kansas is filled with gorgeous highways just begging for a road trip. But before you can drive in Kansas, you need car insurance you can afford. Compare.com can help. We’ve written a step-by-step guide to help you get the best deal on Kansas car insurance. Don’t have time to read this right now? Start comparing free quotes to find the best deal for you! 1. 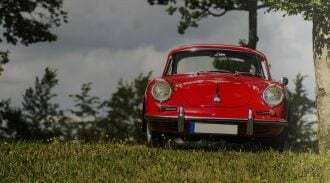 How Do I Find the Cheapest auto Insurance in Kansas? In general, Kansas car insurance is not too expensive. The state ranks 39th in the United States for the average annual cost of car insurance, according to the Insurance Information Institute. However, your personal insurance rates are affected by all kinds of factors. Where you live matters: Wichita auto insurance will be more expensive than insurance in Olathe. Your personal life matters: Young, single drivers will pay more. And your credit matters — maybe even more than your driving record. Consumer Reports found that for single drivers in Kansas, for instance, one moving violation increased their premium by $122 per year, on average. But a credit score rated “good” resulted in a premium increase of $233, even with a perfect driving record. A poor credit score meant paying $1,301 more each year, on average. Long story short, the only way Kansas drivers can find the absolute cheapest car insurance is to compare customized quotes. Enter your info, select state minimum coverage, and see the insurance companies’ best offers. 2. What Does Kansas State Minimum Insurance Cover? 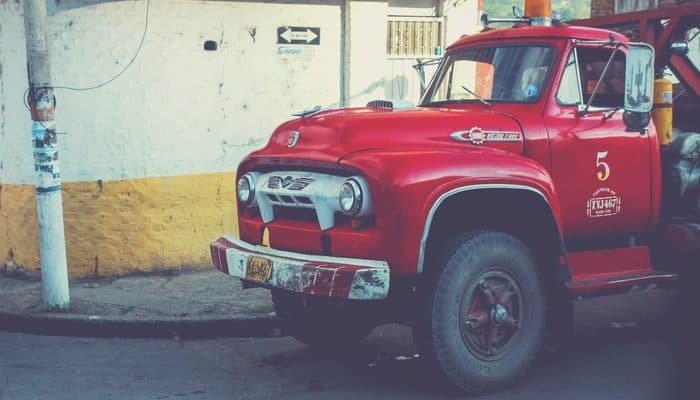 $25,000 per person and $50,000 per accident for bodily injury liability: This pays for other people’s medical bills and lost wages when they’re injured in an accident you’re legally liable for. 3. Do I Need More Than The Minimum Insurance in Kansas? As we’ve said, Kansas state minimum insurance does offer some decent protection. But is it enough to cover all your assets? If your car is newer, or if you have a car loan, you’ll need to add comprehensive and collision coverage. And if you own a home, or have some savings that could be wiped out by a lawsuit, you’ll want insurance with liability limits high enough to cover those assets. Compare.com helps you see all your insurance options in just minutes. All you have to do is get quotes for different levels of insurance, then pick the one that fits your life and your budget. As an example, we ran the numbers for a 27-year-old woman who’s shopping for auto insurance in Wichita. She has a good driving record and drives a five-year-old Chevrolet Malibu. Her quotes for Kansas minimum coverage range from $69 to $100 per month when she pays her premiums up front (which means avoiding a down payment plus installment fees). Our driver also wants to protect her car with collision and comprehensive coverage. So she’ll select a different coverage level: Basic, which adds comprehensive and collision with a $1,000 deductible. Now, our driver’s insurance quotes range from $128 to $202 per month. You can see why it pays to compare — that’s a $74 difference between the highest and lowest quotes for the exact same coverage. If our Wichita driver wants more insurance to protect her assets, she can look at her quotes for the Plus level, too. In Kansas, Plus coverage doubles bodily injury liability and property damage liability to 50/100/50 (with the same limits for uninsured/underinsured motorist coverage). The comprehensive/collision deductible drops to $500, and she gets towing/rental car coverage too. Her quotes for Plus coverage range from $164 to $230 per month. Another alternative is clicking “Customize coverage” to adjust elements of coverage. When our Wichita insurance seeker customizes Plus coverage to have a $1,000 deductible and no rental car/towing coverage, her best quote drops to $144. That’s a $20 savings every month. 4. How Does No-Fault Insurance Work in Kansas? Kansas is one of just 12 states that have a system of no-fault insurance. A lot of people think “no-fault” means they can’t be sued if they cause an accident, but it doesn’t work like that. 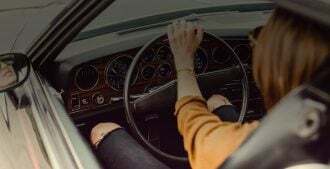 Kansas’ auto insurance laws say you can sue if a) your expenses exceed your PIP coverage and b) your injuries are serious — for example, a broken bone, a permanent injury, or permanent disfigurement. That’s why it’s important to protect yourself with good insurance. 5. What does PIP cover in Kansas? 6. I Can’t Afford Kansas Car Insurance. What Happens if I Drive Without Insurance? Kansas has a surprisingly low percentage of uninsured drivers: about 7.2 percent, compared to a national average of 13 percent. That may be because the penalties for driving uninsured are serious. If you’re convicted of driving without insurance, you may be hit with a fine of $300 to $1,000, and/or up to 6 months in jail. You’ll also have to carry expensive SR-22 insurance for a year. If you’re caught driving uninsured a second or subsequent time, you’re looking at a fine of $800 to $2,500, plus a driver’s license suspension. Don’t drive uninsured! We’ll help you compare quotes for Kansas car insurance so you can pick the cheapest option. Get started now.